This is the show that I was waiting for. The Great Gatsby starring Leonardo DiCaprio, Tobey Maguire, Carey Mulligan and Joel Edgerton. The main events of the novel take place in the summer of 1922, narrated by Nick Carraway, a Yale graduate and World War I veteran from the Midwest who takes a job in New York as a bond salesman. He rents a small house on Long Island, in the (fictional) village of West Egg, next door to the lavish mansion of Jay Gatsby, a mysterious millionaire who holds extravagant parties. Nick drives across the bay to East Egg for dinner at the home of his cousin, Daisy Buchanan, and her husband, Tom, a college acquaintance of Nick's. They introduce Nick to Jordan Baker, an attractive, cynical young golfer with whom Nick begins a romantic relationship. She reveals to Nick that Tom has a mistress, Myrtle Wilson, who lives in the "valley of ashes": an industrial dumping ground between West Egg and New York City. Not long after this revelation, Nick travels to New York City with Tom and Myrtle to an apartment they keep for their affair. At the apartment, a vulgar and bizarre party was held. As the summer progresses, Nick eventually receives an invitation to one of Gatsby's parties. Nick encounters Jordan Baker at the party, and they meet Gatsby himself, an aloof and surprisingly young man who recognizes Nick from their same division in the war. Through Jordan, Nick later learns that Gatsby knew Daisy from a romantic encounter in 1917 and is deeply in love with her. He spends many nights staring at the green light at the end of her dock, across the bay from his mansion, hoping to one day rekindle their lost romance. Gatsby's extravagant lifestyle and wild parties are an attempt to impress Daisy in the hopes that she will one day appear again at Gatsby's doorstep. Gatsby now wants Nick to arrange a reunion between himself and Daisy. 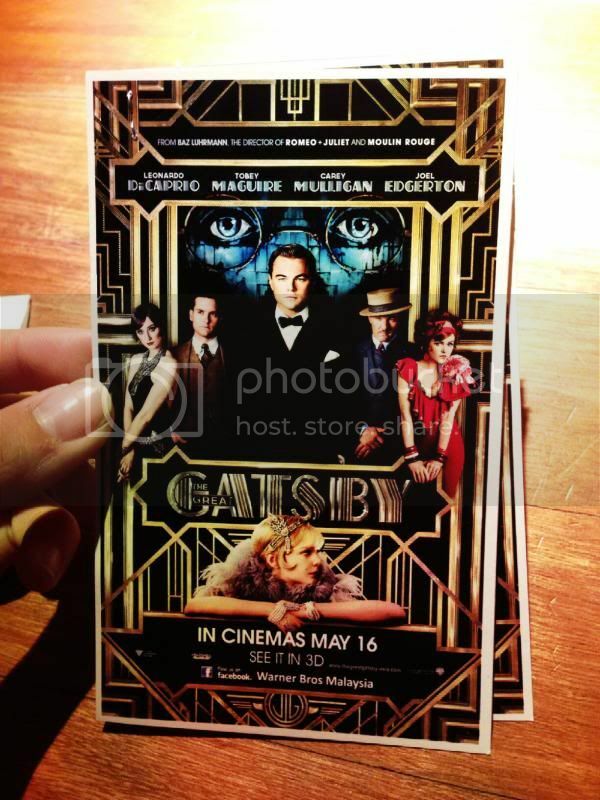 Nick invites Daisy to have tea at his house, without telling her that Gatsby will also be there. After an initially awkward reunion, Gatsby and Daisy reestablish their connection. They begin an affair and, after a short time, Tom grows increasingly suspicious of his wife's relationship with Gatsby. At a luncheon at the Buchanans' house, Gatsby stares at Daisy with such undisguised passion that Tom realizes Gatsby is in love with her. Though Tom is himself involved in an extramarital affair, he is deeply outraged by his wife's infidelity. He forces the group to drive into New York City, where he confronts Gatsby in a suite at the Plaza Hotel. Tom asserts that he and Daisy have a history that Gatsby could never understand, and he announces to his wife that Gatsby is a criminal whose fortune comes from bootlegging alcohol and other illegal activities. Daisy realizes that her allegiance is to Tom, and Tom contemptuously sends her back to East Egg with Gatsby, attempting to prove that Gatsby cannot hurt him. When Nick, Jordan, and Tom drive through the valley of ashes, however, they discover that Gatsby's car has struck and killed Myrtle, Tom's lover. They rush back to Long Island, where Nick learns from Gatsby that Daisy was driving the car at the time of the accident, but that Gatsby intends to take the blame. The next day, Tom tells Myrtle's husband, George, that Gatsby was the driver of the car. George, who has leapt to the conclusion that the driver of the car that killed Myrtle must have been her lover, tracks Gatsby to his mansion and fatally shoots both Gatsby and himself. Nick stages what turns out to be a very small funeral for Gatsby, ends his relationship with Jordan, and moves back to the Midwest to escape the disgust he feels for the people surrounding Gatsby's life and for the moral decay and emptiness of the wealthy of the East Coast. I find that this movie provides a critical social history of America during the Roaring Twenties within its narrative. It is known for unprecedented economic prosperity, the evolution of jazz music, flapper culture and bootlegging and other criminal activity. I really love the story line even though it's rather confusing. It shows how a man loves her lover and finds ways to rekindle with the lover after so long. But definitely this movie is not suitable for teenagers as it involves love triangles between married couples.